Saturday’s “failed” military coup in Turkey, allegedly carried out by networks around the US-based cleric Fetullah Gülen, is likely to strengthen R. Tayyip Erdogan and the Presidency, and provide munition for the continued erosion of rights and liberties, the constitution, the role of the military as an institution that once had the task to protect the secular republic, while it justifies the use of the military against the civilian population. Who benefits? The attempted military coup in Turkey this weekend was over as swiftly as it began. At least 90 lost their lives, more than 1,050 were wounded, and some 750 soldiers were arrested by Saturday morning, less than 24 hours after it all began. The alleged mastermind is, according to President R. Tayyip Erdogan, the US-based cleric Fetullah Gülen, supported by Gülenist networks. The 74-year-old Gülen, who is living in a self-imposed exile in Pennsylvania, USA, is known for his close ties to the CIA, NATO intelligence, Turkey’s Deep State, and for having succeeded at having his network infiltrate the highest political parties in European countries. Thus far very little is known about the mystery officers who had a State TV anchor read out their declaration, stating that Turkey now would be governed by a “Pace Council”. Even fewer facts are known about what exactly happened and about who exactly it was that had planned and managed the failed coup. The only things that can be determined with some degree of confidence are the most probable consequences of the coup and their implications. 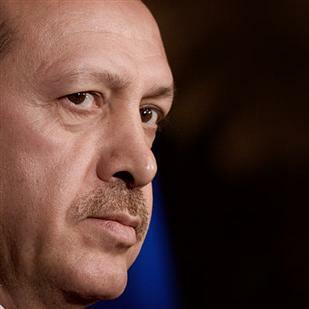 “An Erdoğan presidency will change the course of Turkey’s politics. Unless former President Gül assumes the leadership of the ruling AKP and thereby make sit possible for the party to dampen Erdoğan’s ambitions, the presidency will increasingly become the centre of executive power. An extraordinarily skillful, ruthless and widely popular politician, Erdogan has already obliterated Turkey’s meek system of checks and balances. His record over the past three years nearly rendered the judiciary (save for the Constitutional Court) an extension of the executive and he has established a profound state of intimidation throughout the country. … Without any countervailing or restraining power, Erdoğan as president will take Turkey further down the road of electoral authoritarianism. This new authoritarianism will have an Islamic lexicon and it will try to redefine the institutions of the regime based on Islamic rather than secular principles. .. This will be part of its novelty and will go against the grain of 200 years of Turkey’s history of Westernised modernisation, long-resented by the country’s Islamists. The tragic dimension of this election therefore is that most of the voters seem unaware of how fateful the election is for the future course, stability and cohesion of the country”. In July 2013 then Prime Minister Erdogan and his Freedom and Justice Party (AKP) government successfully passed legislation that significantly changed the status of Turkey’s armed forces, ending their role as guardian of Turkey’s secular Constitution. Erdogan’s amendment of Turkey’s Armed Forces Regulation was widely perceived as a policy coup. The regulation’s Article 35 specified that one of the duties of the armed forces was to protect and preserve the Turkish Republic. After the July 2013 amendment of article 35, the article states, that it is the duty of the Armed Forces of Turkey to defend the nation against external threats and dangers. The amendment thus reduced the military’s function to that of an instrument, solely for the protection of the boundaries of the nation, but not the protection of the republic. Large parts of Turkey’s secular opposition perceived the amendment as an additional step in a sweeping power grab by the Muslim Brotherhood associated AKP. Both members of Turkey’s secular opposition and members of the military were concerned that the AKP, not unlike the now ousted Egyptian President Mohamed Morsi, would misuse constitutional and legislative changes to turn Turkey into a de facto Islamic or Islamist Republic. The amendment of Article 35 of the Armed Forces Regulation would, arguably, not have been possible without careful preparations that would include the decapitation of secular republicans within Turkey’s officer corps. Over 350 soldiers, including high-ranking officers had previously been arrested on fabricated espionage and coup charges and tries in the so-called Ergenekon and Balyoz trials. The soldiers and officers would eventually be found not guilty, but the decapitation of the secular republican core in the armed forces of Turkey had succeeded. It turned out that networks around Fetullah Gülen, the alleged man behind the failed military coup, played a crucial role in planting false evidence against the secular republican officers. Moreover, it is important to note that most of these secular republican officers disapproved of the AKP’s role in the proxy war against the Syrian Arab Republic, in collusion with Qatar, Saudi Arabia and with other core NATO member States. Turkey’s state sponsorship of the so-called Free Syrian Army, of Jabhat al-Nusrah, the Islamic State (a.k.a. ISIS, ISIL or Daesh) and numerous other insurgencies and the involvement of Turkey’s military in this illegal war against Turkey’s secular southern neighbor would have been difficult had the secular core among Turkey’s officers not first been decapitated. These same secular circles within Turkey’s military and among members of Turkey’s secular opposition had also warned that Erdogan’s and the AKP’s policies would facilitate the breakup of the Turkish Republic and the establishment of a “Kurdish Corridor” as part of a long-term strategy in NATO’s envisioned encirclement of Russia’s southern flank. The establishment of a Kurdish State with breathing straw access to the Mediterranean. Map plottings by Major (r) Agha H. Amin. Erdogan’s decision to end the ceasefire with the PKK last year, and the violent military crackdown against the PKK as well as against non-combatant civilians in its predominantly Kurdish southeast has led to an alliance with Syrian and Iraqi Kurds that is likely to result in years of conflict and eventually, the breakaway of Turkey’s Kurdish region. It is noteworthy that this crackdown was started as the PKK was ready to agree on a permanent peace. It is also noteworthy that a person from within the inner circle around former Lebanese Prime Minister Saad Hariri disclosed that the final decision to invade Iraq with ISIS was made at the Atlantic Council’s Energy Summit in Turkey in November 2013. Circles within and close to the AKP government and Erdogan would also become involved in smuggling oil, stolen by ISIS in Syria, via the Kurdish region of northern Iraq, thus enriching and invigorating both ISIS and the Kurdish forces who would fight the self-proclaimed Islamic State. The currently available, verifiable evidence about this weekend’s “failed” coup is very limited, to say the least. The context and the consequences are, however, indicative of won’t benefit from the failed coup and who will.